Let me take you back ten years almost to the day, to the 2004 Australian Grand Prix, then as now at the Albert Park circuit; then as now the scene of the opening round of the F1 season. It was a race that on the face of it didn't have much to distinguish it. Michael Schumacher in his Ferrari helped himself to a dominant win from pole, as he seemed to most times in that era; leading every lap and it never looking remotely like anyone could touch him. Yet it's one of the races that most readily springs to my mind when I reminisce about Schumi's totemic modus operandi. Why? Well after taking the chequered flag he guided his victorious machine into parc ferme and celebrated joyfully with his team. So far, so normal. But then as he turned into the paddock building in order to to climb the stairs to the podium he - apparently unaware that a TV camera was on him - had a clenched fists celebration to himself. This remember was in response to no fewer than his 71st Grand Prix win - a scarcely credible number - as well as that he by this point had a record six world championships next to his name. Yet his reaction of spontaneous joy resembled that of one who'd never won a race in any category before, let alone had enjoyed his habitual success at the sport's pinnacle. And it captures possibly the most remarkable of the many remarkable facets of Schumi, that no matter what he won (and he won plenty) his desperation to win never seemed to diminish even by decimal points. And while comparisons between Sebastian Vettel and his countryman forerunner strike me as trite most of the time, we've long seen that the pair do seem to share this characteristic, and - this time in defeat - we had our latest demonstration of this from Seb at the very same venue last Sunday. Granted, in Vettel's case it can manifest itself in different ways: Schumi was never one harsh on his team, at least not when outsiders could hear it. But the root cause of it - the unbreakable and frenzied desire to achieve no matter what triumph they've already experienced - appears close to indistinguishable. Seb as we know has four world drivers' championships won by the relatively tender age of 26, plus last Sunday was the first time in a whole 231 days that someone other than he had won a Grand Prix. It was the first time in a lot longer that Seb was a mere footnote in proceedings. But anyone who thought that his repeated success might result in a lowering of his intensity even slightly will have been dissuaded of this notion during the Melbourne weekend. When he crossed the line for it to be confirmed that he'd qualified in a mere P13 (related to software problems in his power unit) his spontaneous and frustrated slap of the steering wheel was visible. And then in the handful of laps he managed in the race - all hobbled by technical gremlins - it was further reflected in Seb's pained and shrill radio calls: 'is this normal? ', 'no power, do something! This is ridiculous guys'. Some were critical of his behaviour, stating that this was evidence of Seb's 'brattishness' and the like. But in the ultimate analysis it should be taken too as a jarring lesson that Seb despite everything is not ready to ease off yet. Furthermore, Seb last Sunday continued his usual trait of being the driver who bows to no one in working hard at his game; at leaving the minimum to chance. Rather than stomp back to his hotel after his early withdrawal, he stayed in the garage in an attempt to help understand and resolve the problems, as well as to absorb what he could from team mate Ricciardo's race in the new formula. This - harnessed with a weekend wherein the RB10 demonstrated it'll be strong once the Renault problems are sorted - should worry his rivals. 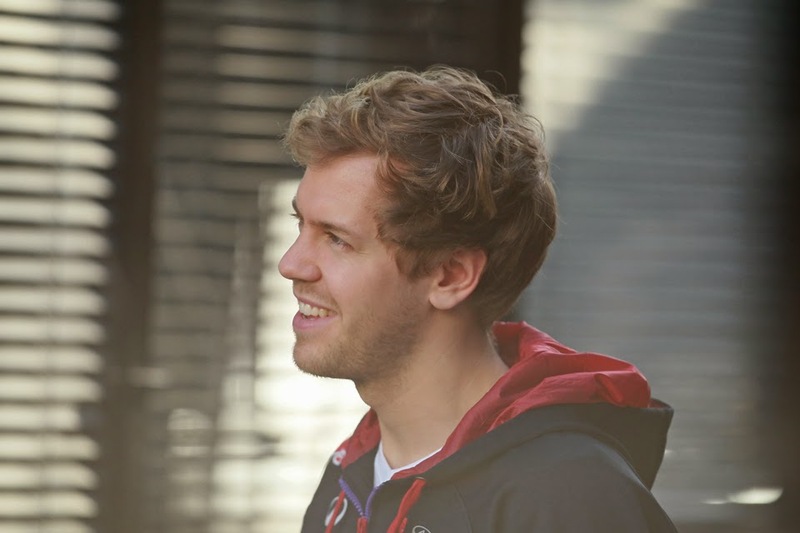 It will most likely add up to Seb yet and yet again being a formidable player in this year's world championship fight. At the very least, if 2014 is indeed to be the year wherein Red Bull falls short finally, it in all probability will not be at all attributable to any relent from Sebastian Vettel.